According to a new investigation released by ABC Action News, court-appointed guardians are very rarely held accountable by the state agency in charge—the Office of Public and Professional Guardians (“the Office”)—when they commit serious violations. Since it was established, the Office has reportedly handed out less than 20 warning letters related to actions such as failing to disclose past criminal history and stealing funds and property from those in their care. Yet in spite of these serious violations, the agency has never once revoked a guardian’s registration. Courts will engage in this process if they find that someone’s “ability to make decisions so impaired that the court gives the right to make decisions” to someone else. Only when an individual has not set up a less restrictive alternative, such as durable power of attorney and/or health care proxy, is this found to be appropriate by the courts. Several examples of this type of abuse here in Florida include one court-appointed guardian placing an elderly hotel owner into a guardianship because she did not approve of her decision to sell her property, and another stealing an elderly widow’s wedding ring and placing her in assisted living. According to the Office, it currently has 132 open investigations open on a total of only 551 registered guardians throughout the state. Yet, it is unclear whether the agency has the authority or even desire to refer abuse cases to law enforcement for prosecution. It appears that, when abuse does occur, the only penalty the agency can impose is to revoke the guardian’s registration, which has apparently never been done. Even County Circuit Court Judges have pointed out that they have witnessed rampant problems in the system; instances where guardians needed to be removed, suspected theft and other financial abuse; and the Office is not doing enough. Many have also pointed out that this is not just an issue in Florida, but around the country, as it revolves around a dysfunctional court. 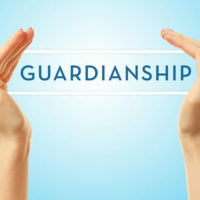 Problems with Florida’s court-appointed guardian system indicate that one of the smartest things you can do is work with an attorney to establish a guardianship involving someone you trust for you or your loved one should physical or mental incapacity occur. Contact the Orlando guardianship attorneys at Gierach and Gierach, P.A. to help guide you through the process and answer any questions.